What do those numbers mean to your radio station? They mean that you can have access to Bloomberg’s 2700 journalists and analysts in more than 120 countries around the world. Bloomberg’s resources are unparalleled. Find out how to put them to work for you! 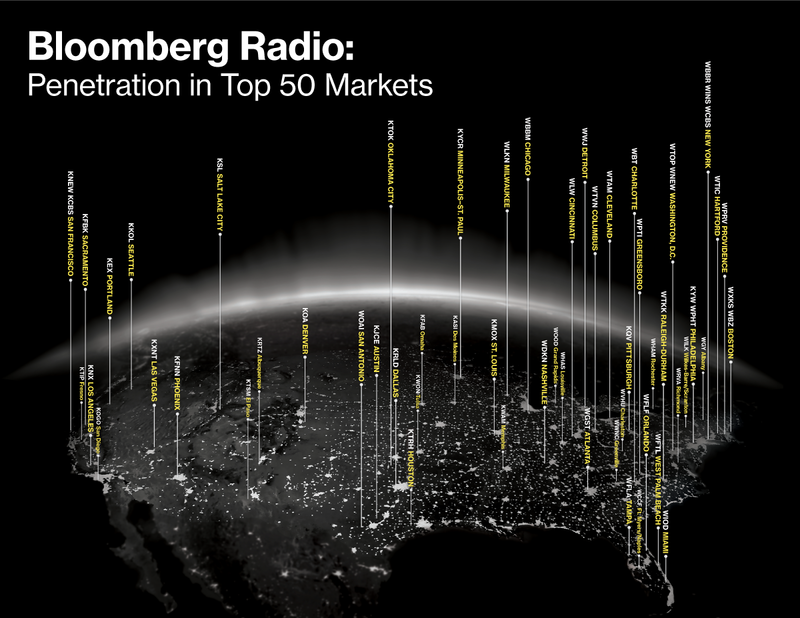 The Bloomberg Radio Network is the leading provider of radio business news in the United States. CBS's owned and operated all-news radio stations (including both WCBS and WINS in New York) use Bloomberg as their primary business and consumer news provider, as do iHeart's all-news stations. Bloomberg is heard on a total of about 300 radio stations nationwide. The reports are popular with program directors and news directors because they are authoritative and comprehensive, while at the same time understandable and relatable to mainstream audiences. The reports stand out because they are backed by Bloomberg's unparalleled global news and infomation resources. The Bloomberg Radio Network offers short-form reports ranging from "Market Minutes" to "The Business of Sports." Bloomberg also offers engaging full-length business shows. 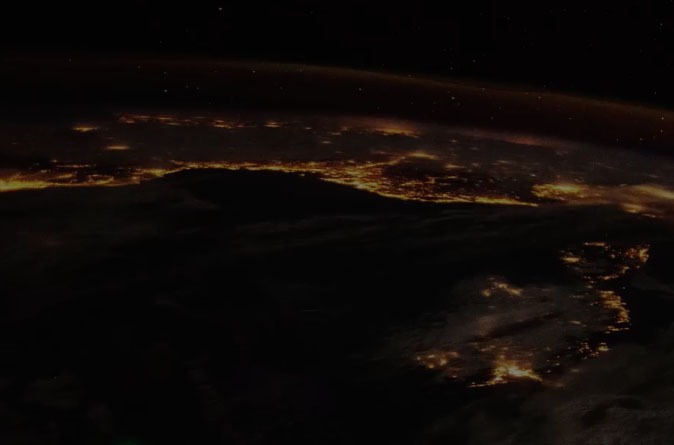 On weekdays, this 60-second report combines compelling consumer and business news with a quick update of the markets. On weekends, the reports shift to a focus on thought provoking features known for their use of sound and production value. BLOOMBERG Pursuits is Bloomberg's hub for lifestyle and luxury news and reviews. It's your guide to the best food, fashion, travel, cars, watches, real estate, gadgets, wine, and cocktails. From high-end supercars to dream homes and exclusive vacation resorts, BLOOMBERG Pursuits covers the finest things in life. Michael Barr follows the money in the world of sports, reporting on trades, salaries, endorsements, contracts and collective bargaining. The report takes listeners inside the business end of the sports world, and explains what it means to fans and their pocketbooks. The BLOOMBERG Small Business Report takes the pulse of small business in America. Providing a mix of news and trends that affect small business owners and entrepreneurs, Bloomberg's John Tucker reports daily on the challenges small businesses face in marketing, technology, taxes, credit, managing growth, hiring talent and coping with government regulations. John also highlights small businesses that are growing and succeeding as the economy gradually recovers. 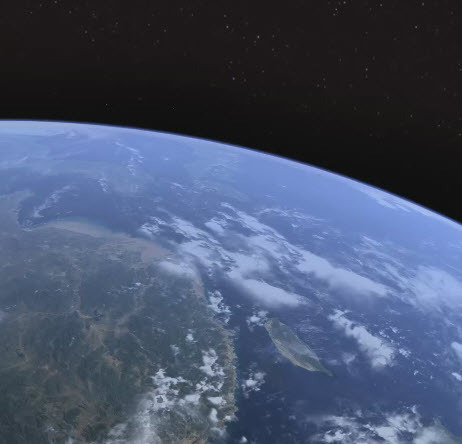 The BLOOMBERG Green Business Report explores the latest developments in green technology. 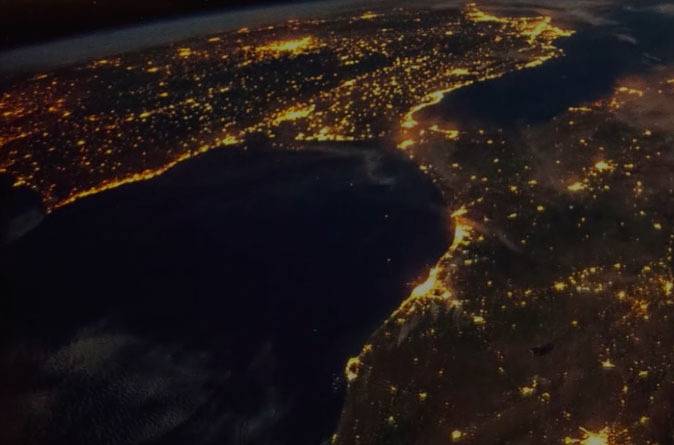 The report profiles companies making breakthroughs in renewable energy, conservaion, recycling, zero emission transportation and waste disposal. 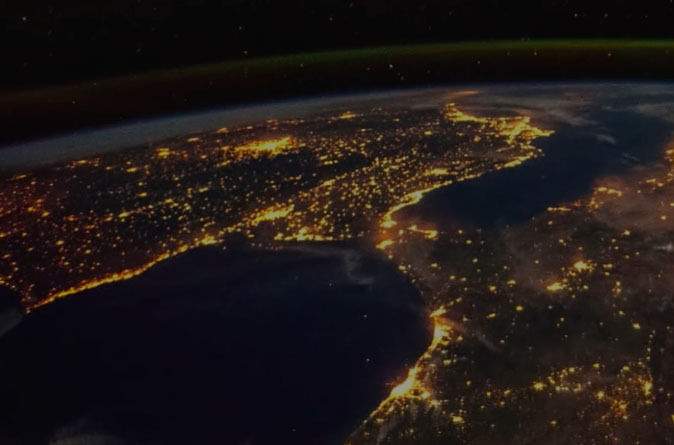 Topics range from long-life batteries to light-emitting diodes to sustainable agriculture. This report focuses on the largest single investment most people will make: real estate. Topics include mortgage rates, market trends, sales figures, legislation and other news that is driving the real estate and homebuilding industries. The report also provides insights into the best opportunites for buying, selling, or refinancing homes. 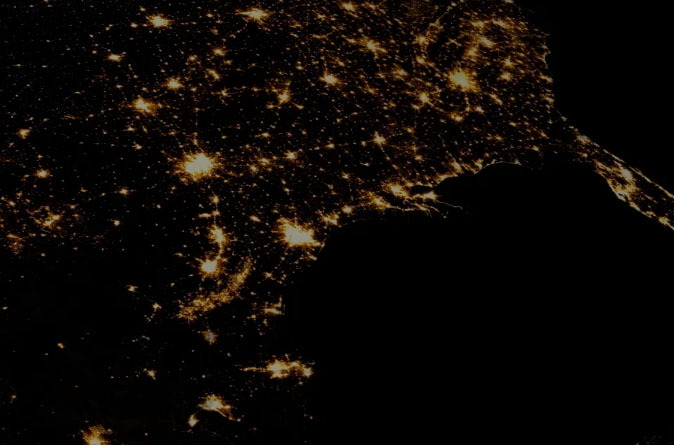 This 60-second report features consumer and business news with a special focus on African-American audiences. Coverage includes profiles of minority entrepreneurs and executives, legislation and policy affecting urban business, and a general look at economic issues. Donna Wilson delivers three national reports a day, and customized reports for select markets. Michael Barr joined Bloomberg as a news anchor in 2014. 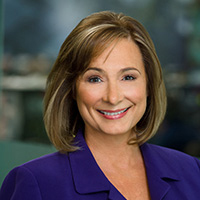 Barr was a news anchor for the ABC Radio Network from 2001 to 2014. He also anchored sportscasts for ABC. During that time, Barr covered several sporting events including NASCAR's Daytona 500, the Pocono 500, the Pennsylvania 500 and other auto racing events. Barr was a news anchor for WJR Radio in Detroit from 1987 to 2001. Barr also worked in television, for WDIV in Detroit and WTVG in Toledo, Ohio. He is an avid fan of auto racing and attended the University of Michigan. Jeff Bellinger spent about five years in music radio until he made the transition to radio news. 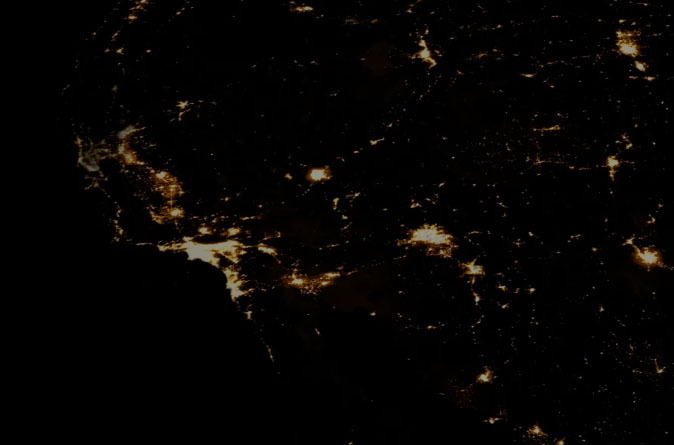 He worked in radio newsrooms in Toronto, Albany and Hartford before being hired by the Financial News Network for the startup of a new business radio network. 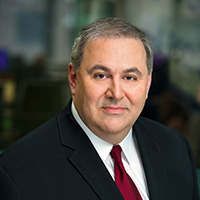 He spent the next quarter-century covering business and financial news - also working at CNBC, ABC-BusinessWeek, and the Wall Street Journal Radio Networks prior to joining Bloomberg. Jeff is a former paramedic and volunteer firefighter. Collecting music has been a lifelong hobby. 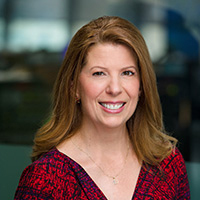 Gina Cervetti is an award-winning radio journalist, who joined Bloomberg in 2015, after about a decade at the Wall Street Journal Radio Network. Gina lived for many years in Massachusetts, where her work included serving as local host of "All Things Considered," on WBUR, Boston, and reporting and anchoring at WTAG, Worcester. Gina holds a bachelor’s degree from Boston University. Ed Coury has been in radio news since the age of 19, when he worked at a public radio station in his native Pittsburgh. He has served as a radio journalist for news outlets including the NBC and UPI radio networks, the Associated Press, The Wall Street Journal Radio Network, and CBS Detroit/WWJ. He has received several awards, including an AP honor for best radio reporting in Detroit. Ed is a semi-professional musician, has been involved in theater, and designs web sites. A former U.S. Civil Air Patrol officer, he has been an Ohio Highway Patrol Auxiliary officer, and trained as an EMT. 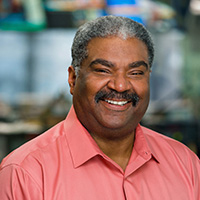 Ed holds a Master of Business Administration degree from Cleary University, where he was the recipient of a gold Medallion for Academic Excellence. Ed is married with two children. Joan Doniger is a veteran news broadcaster with a background both in radio and television. She made the switch from general news to business in 2011. Along the way, Joan has covered everything from the terrorist attacks of September 11, 2001, and the Washington, D.C. area sniper shootings, to the economic decisions made by the Federal Reserve. Joan is thrilled to be able to put to practical daily use her double major in journalism and economics from the University of Maryland. She comes from a broadcast family. Joan's father was the late news and sports broadcaster Jack Doniger. Her husband is radio news broadcaster Bill Vanko. Joan and Bill have one son. 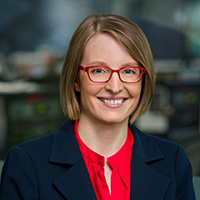 Courtney Donohoe is a reporter and anchor at Bloomberg Radio. 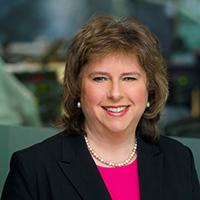 She has held numerous roles at Bloomberg, including serving as a reporter and producer during the financial crisis, where she reported on the Lehman Brothers bankruptcy and the fall of Bear Stearns. Donohoe has also reported live from the New York Stock Exchange for Bloomberg Television's local affiliates, including WPIX in New York, WGN in Chicago, KTLA in Los Angeles and KGO in San Francisco. She began her career as a product manager and developer for Bloomberg. She holds a B.S. from Boston College's Carroll School of Management. 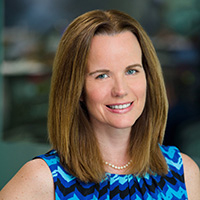 Tracy Johnke reported business news at the Associated Press and MarketWatch Radio before she joined Bloomberg in 2015. 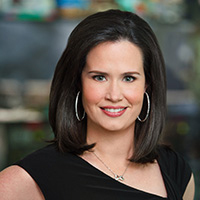 Previously, she worked at CBS Radio and WTOP in Washington, D.C. She now anchors live reports on major-market Bloomberg Radio affiliates WCBS in New York, KCBS in San Francisco, WBZ in Boston and KRLD in Dallas. Tracy grew up on a Montana ranch where TV reception was spotty at best, but there was always a host of options on the AM radio dial, which may have influenced her career choice. She is a graduate of the University of Montana-Missoula and American University in Washington, D.C.
Larry Kofsky has been the voice of business on 1010 WINS in New York since 1989. Before joining Bloomberg, he was a radio anchor for MarketWatch Radio Network and CNBC Radio. In addition to 1010 WINS, Larry's reports can also be heard on WNEW, 99.1 in Washington, D.C. and on WTIC, Hartford and WPHT, Philadelphia. Larry is a graduate of Ithaca College with a degree in Television-Radio. 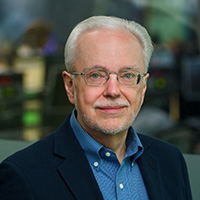 Michael Lysak oversees Bloomberg Radio’s national network. He has held various management positions since joining Bloomberg in 1993. 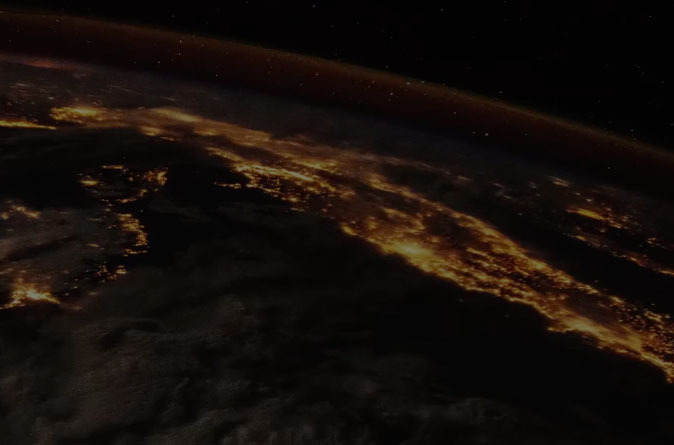 He supervised the launch of Bloomberg Television, as well as international Bloomberg channels in Europe and Asia. He also led the creation of web sites for Bloomberg Radio and Television. 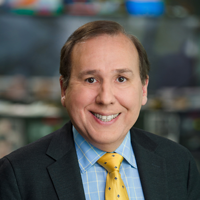 Before joining Bloomberg, Michael was a news anchor and reporter at radio stations including WCBS, WOR, WNEW, and WRKS (Kiss-FM) Radio, all in New York City. He has earned dozens of journalism awards, including honors from Associated Press, United Press International, The New York Press Club, and the International Radio Festival. Michael holds a Masters of Business Administration from the Stern School of Business at New York University and a Bachelor of Fine Arts in Journalism and Television, also from NYU. His love for radio began as a teenager at all-scholarship Regis High School, where he launched a "radio station" over the school's public address system. 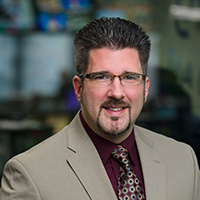 In addition to leading the radio network at Bloomberg, Michael enjoys training future broadcasters, occasionally teaching as an adjunct professor at the City University of New York Graduate School of Journalism. Michael enjoys spending time with his wife and three sons in their New Jersey home. His passions are family, Sinatra, Disney, and anything Italian. 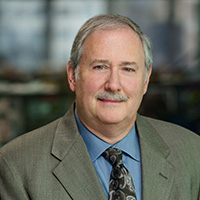 Mills has worked in radio and television news for more than 30 years. Prior to joining Bloomberg in June of 2007, Mills served as the executive producer of WGBH-TV's nightly public affairs program, "Greater Boston." He also co-developed and co-hosted a nationally distributed 13-part public television series called "Boomers: Redefining Life after 50." 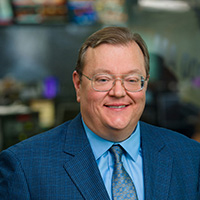 From 2001 to 2004, Mark served as host of "Market Wrap," a daily business and finance program on WBIX-AM radio in Boston. 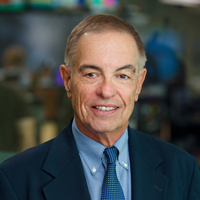 From 1982 to 2000 Mark held a variety of positions at WCVB-TV, the ABC affiliate in Boston. While at WCVB-Channel 5, he was a business reporter for Channel 5 news and a producer and executive producer of the nightly news magazine "Chronicle," which was awarded the Alfred I. duPont-Columbia University Journalism Award during Mills' time as executive producer there. Mills graduated from the University of Massachusetts at Amherst. He is co-author of a book on personal finance entitled "Boomers: Funding Your Future in an Age of Uncertainty," published in 2007 by Kaplan. Before joining Bloomberg, Adrienne Mitchell was a business reporter at MarketWatch, where she provided major market radio stations around the country with business news and feature reports and produced a daily personal finance podcast. Previously, she was an anchor at WTOP all-news radio in Washington, D.C., and the Associated Press Broadcast Network, with a couple of brief stops at 1010 WINS in New York. She has also worked as a social media consultant with the National Endowment for Financial Education and live-tweeted events at the National Press Club, of which she is a member. She lives in suburban Washington, D.C., with her husband. 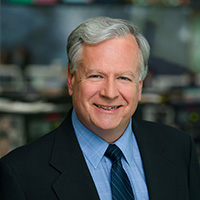 New Yorkers and Bostonians listen to Andrew O'Day deliver Bloomberg market and economic reports every weekday morning on top-rated news stations 1010 WINS and WBZ. Before coming to Bloomberg in 2015, Andrew worked for the MarketWatch Radio Network for twelve years. 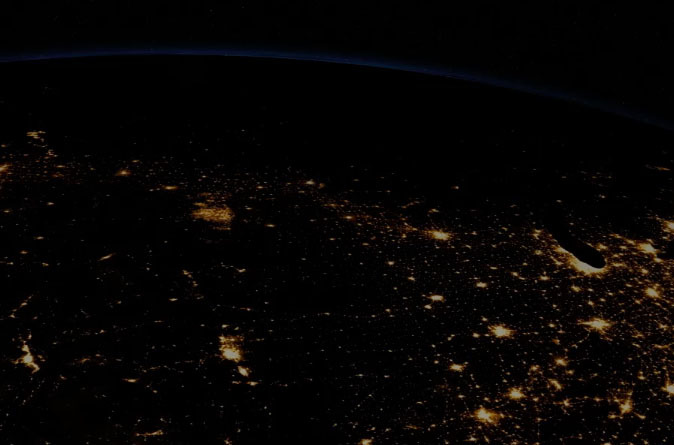 He provided live financial reports for more than two hundred radio stations, garnering awards for coverage including the 2008 financial crisis and the 2011 flash crash. He also worked at WTOP and WMAL in Washington, D.C. where he covered 9/11 from the Pentagon, and the Supreme Court's decision determining the presidential election of 2000. 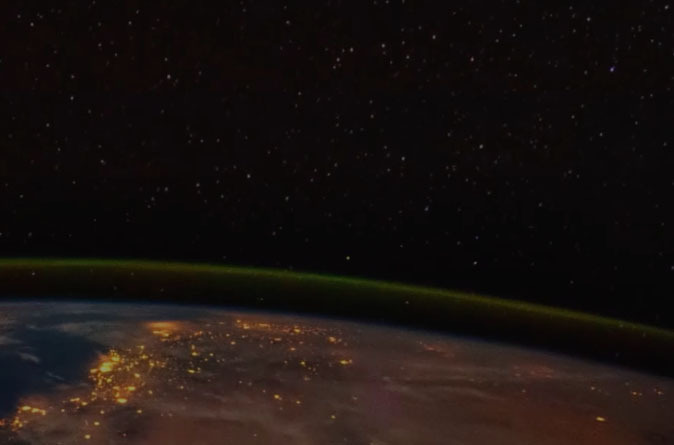 Before his days in radio, Andrew worked in television production for CNN and NASA TV. Andrew holds a master's degree in journalism from the University of Maryland. Alisa Parenti anchors live Bloomberg business reports for major radio stations in Chicago, Detroit and New York. She has been honored with numerous Dateline Awards from the Society of Professional Journalists and was a recipient of two national awards in 2014 from the RTDNA/NEFE and the NYSSCPA for Excellence in Personal Finance Reporting. Prior to her work at Bloomberg, Alisa served as a business news reporter at Dow Jones/MarketWatch. She also previously reported general assignment news and anchored at WJLA-TV (ABC) and News Channel 8 in Washington D.C. Before arriving in Washington in 2001, Alisa worked at WBBS-FM, WTVH-TV (CBS) and WSYR-TV (ABC) in Syracuse, New York. She also wrote a column for Syracuse Parent magazine. In addition to being a broadcast journalist, Alisa has been an adjunct professor at Georgetown University, teaching Storytelling and Broadcast Journalism classes. Alisa earned a master's degree from the Medill School of Journalism at Northwestern. She is active in the Medill Mentoring Program, the Northwestern Alumni Association, the National Press Club and the Robert F. Kennedy Journalism Awards Committee. She resides in Northern Virginia with her husband, Jim, and her two daughters. Denise Pellegrini delivers the Bloomberg Real Estate Report. She has broken high-profile real estate stories including the GMAC foreclosure halt that signaled banks were running into legal trouble processing their foreclosures. She has also served as editor and executive producer at Bloomberg Television. Before joining Bloomberg, Pellegrini covered the White House, Capitol Hill, State Department and Asian financial markets for NHK, Nippon TV and Asahi newspaper. In addition, she covered bond and currency markets for Market News Service. She is a graduate of Amherst College. Steve Potisk is an award-winning broadcast journalist with more than 20 years of experience. 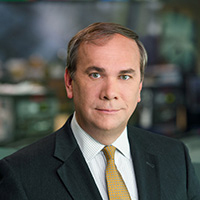 He anchors business and financial news reports for Bloomberg Radio affiliates from coast to coast. Included are some of the most-listened-to news and news/talk stations in the country. He is based in Washington, D.C. 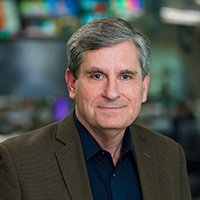 Prior to joining Bloomberg Radio in 2015, Steve spent about 16 years covering financial markets and consumer news for the MarketWatch Radio Network and for Associated Press Radio before that. Trained as an attorney, he has often relied on his legal background to help him navigate the complex world of corporate news coverage. Prior to business news, Potisk covered major news events while working in local radio. He often was called upon to employ his law background while covering numerous trials, including the John DuPont murder trial in 1997. Potisk holds a B.A. in Political Science as well as a J.D. from Widener University Delaware Law School. 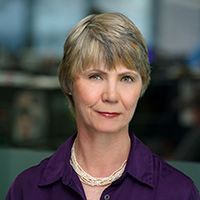 Patrice Sikora delivers business reports for Bloomberg Radio affiliates around the country including WLW in Cincinanti, KOGO in San Diego and KEX in Portland, Oregon. She also reports on Bloomberg's New York City radio station, WBBR. 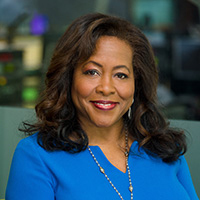 Prior to joining Bloomberg, Patrice served as managing editor at the Dow Jones/Wall Street Journal Radio Network where she also anchored business reports. She previously did anchoring and reporting for 1010 WINS in New York and the United Press International Radio Network. Patrice holds a bachelor's degree in communications and a master's degree in geography, both from Rutgers University. John Tucker anchors the nationally syndicated "Bloomberg Small Business Report." He has been reporting for Bloomberg Radio in New York City since 1993. He has covered major stories throughout his career, including the Asian debt crisis, the dotcom boom and bust, and the 9/11 attacks. Tucker also reported on events leading to the collapse of Bear Stearns. He was among the first in the news media to report on a halt in redemptions for two Bear Stearns funds, the fall of which led to the global credit crisis. Tucker has been the recipient of the New York State Associated Press Award for Best Newscast, the United Press International First Place Award for Individual Achievement, the New Jersey Associated Press First Place Award for Best Documentary and the Society of the Silurians Award for Radio Spot News. Tucker holds a bachelor's degree in science from Fairleigh Dickinson University. Donna Wilson's reports have won over 40 national and local awards. In addition to covering urban news, Donna also reports on the stock market, financial, economic and education news. Prior to joining Bloomberg Radio in 2001, Donna Wilson was news anchor and deputy news director for WBLS and WLIB Radio in New York City. She covered urban, general market and entertainment news. She also hosted WBLS's public affairs show, for which she received a New York Metro Air Award for Best Public Affairs Show in 2000. Donna also held on-air and management positions at WWRL Radio in New York for over a decade. Donna hosted a four-hour daily call-in talk show in which she interviewed guests ranging from former President Bill Clinton to civil rights icon Rosa Parks. Donna received a first place award for Best Talk Show from the New York State Broadcasters Association. Donna Wilson holds a B.A. from New York Institute of Technology.